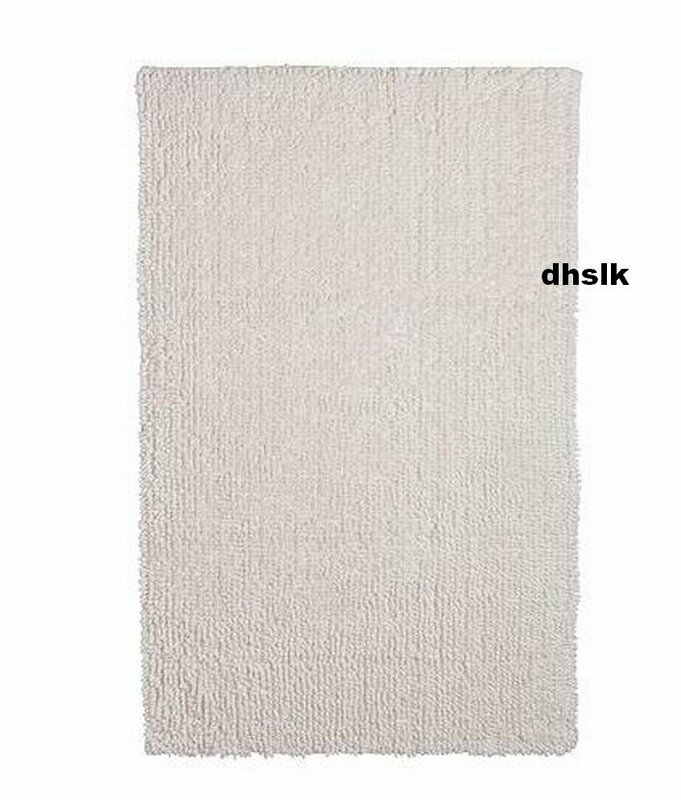 BRAND NEW TOFTBO WHITE bath mat rug from IKEA of Sweden. IKEA calls this white, but it is actually a creamy off-white colour (dark winter white). A soft, thick, absorbent 100% cotton mat, with latex nonskid backing. Length 39" (100cm) , Width 26" (65 cm). Machine washable. Please visit my store at rock-paper-scissors.ecrater.com . I am happy to combine postage for multiple purchases (e-mail me for an exact shipping quote).